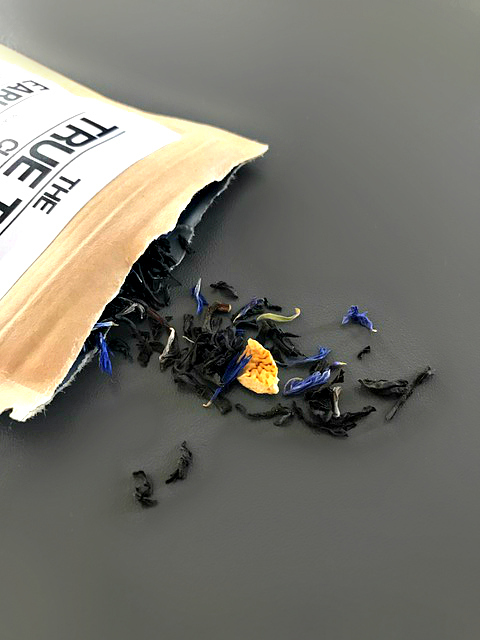 The lovely people at The True Tea Club sent me over a new selection to try and I'm glad to add Earl Grey onto my list of beloved teas. I was sent Mighty Mango, Earl Grey, Rainbow Chaser and Vanilla Cupcake. 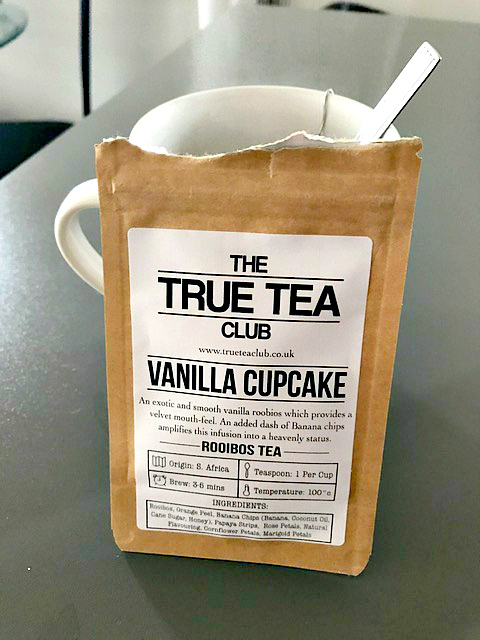 All of which I enjoyed apart from the Vanilla Cupcake, this I found way to weird for my basic tea palette. And the Earl Grey being my favourite of the bunch. You can see here that I decided to use my strainer, this is because although I found the reusable drawstring tea bags a handy little extra, it didn't infuse all that well. 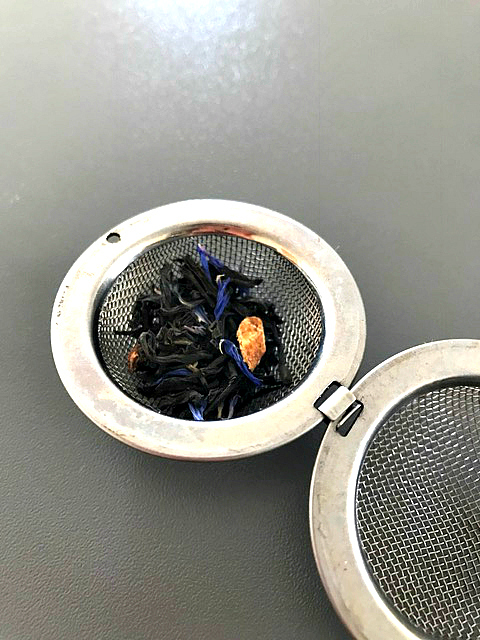 I found my teas were stronger with the use of my steel tea leaf strainer. 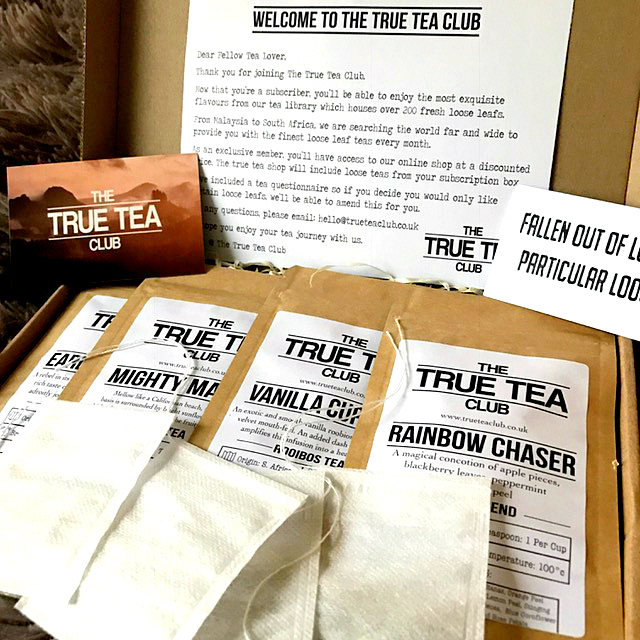 This subscription is perfect for that little pick me up or as a gift this Christmas for any tea lover. Now that it's getting colder, it's ideal for cosy nights and Netflix binges. Tea has a very calming affect on people, it's soothing and de-stressing. In our hectic everyday lives, we need to find more time for a nice brew and some time out.